Zakouma National Park in southern Chad is famous for its large, free roaming herds of elephants. This has made it a honeypot for poachers. From 2005 to 2010, demand for ivory has reduced the park’s elephant population from over 4,000 to about 450 individuals. 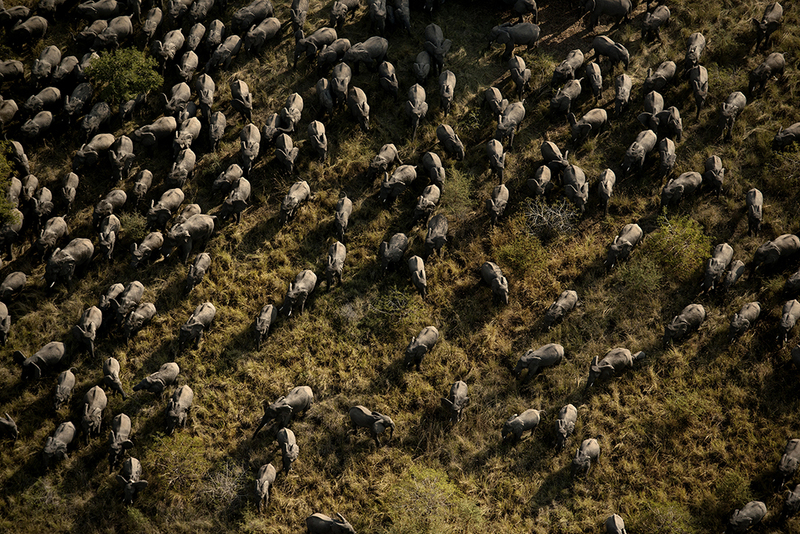 In a visit earlier this year, Kate Brooks took these beautiful aerial pictures of the park and its remaining elephants. Brooks is a war photographer who has spent most of her 17-year career documenting conflict in the Muslim world. She says it’s no stretch to compare the slaughter of African animals to the worst human conflicts. Her forthcoming documentary, The Last Animals, will describe the increasingly sophisticated war between conservationists and poachers over elephants, and many other African animals.